I LOVE a dramatic before and after - you too? And this room has me smitten. 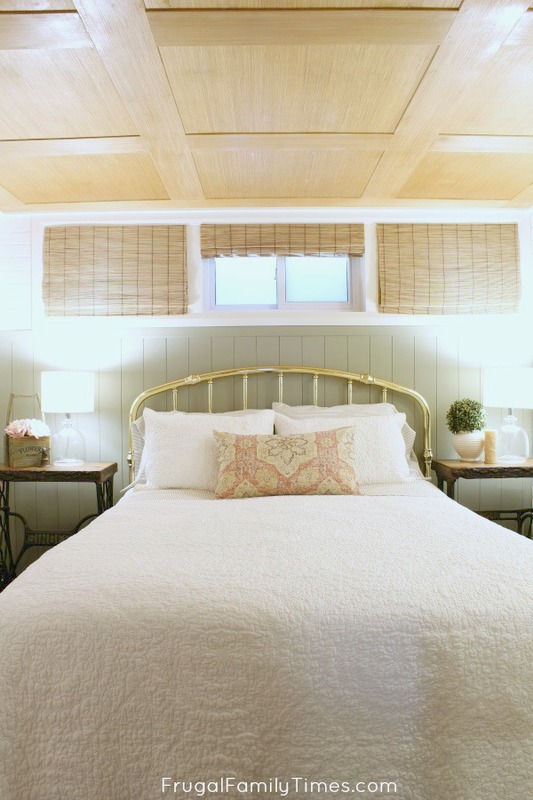 Our vision was to create a cozy welcoming guest room that doesn't feel like it's in the basement. Have we achieved that? I can't get enough of this before and after! It was just a dreary, bland box that screamed BASEMENT! Maybe a step up from sending our guests into a dungeon room filled with hand me downs. Instead of saying, "Welcome, friend" it said something more along the lines of, "Don't get too comfortable. You aren't staying long." 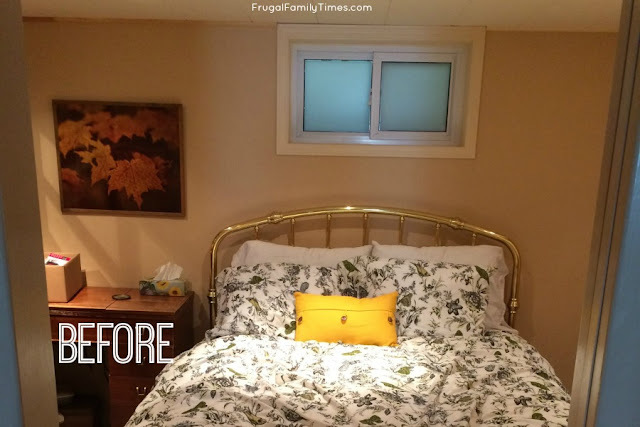 Of course, as always, our second goal was to achieve this transformation on a budget. This project is a great example of doing more with less. See that lovely green panelling in the after photo? That cost us about $25 - including paint! Normally, I try to avoid going into our basement storage room/workshop. Ed and I have different approaches to storing things - and I let him express himself freely in there. It is absolute chaos! But he can find everything. 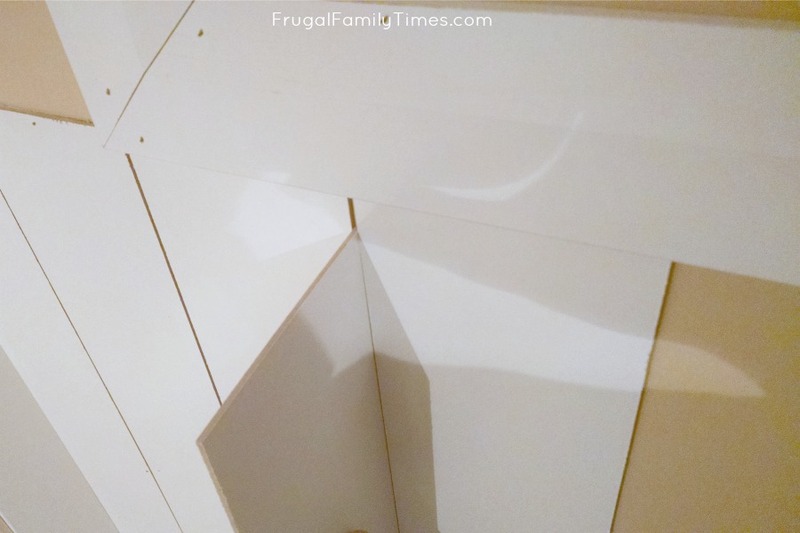 But one day, after we installed our IKEA hack built-in bookcase, I was forced to go in there. I think I fought it for a day and a half - but there was no avoiding that room. It was then I saw a cast aside material that I knew would make my already planned panelling so cheap! The unused Billy bookcase backings! 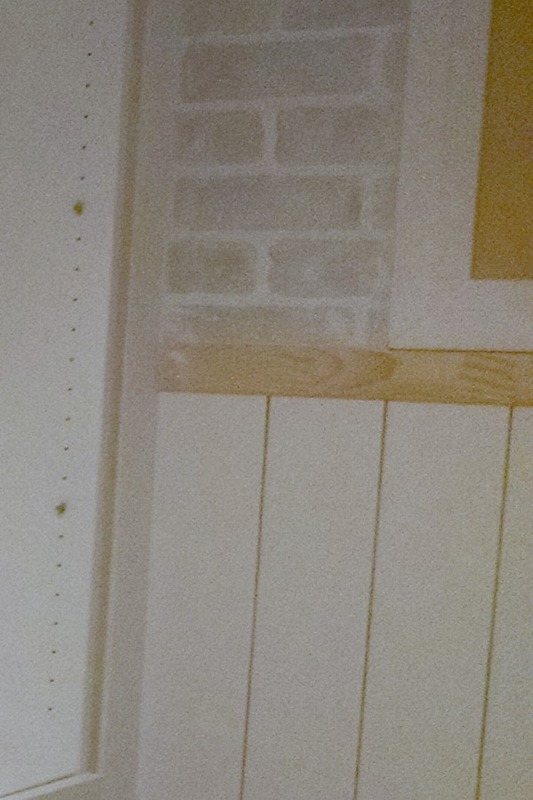 If you've seen our bookshelf project you know that we amped up the character of them by backing them with faux brick. 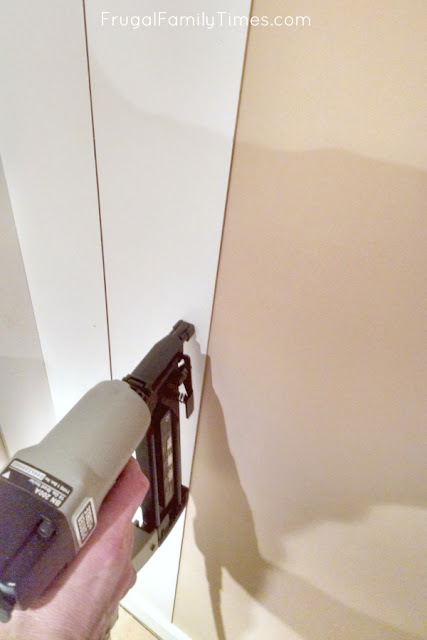 We didn't use the backing that came with the shelves. Until now! We measured the square footage and then checked the accent wall in question. If we planned carefully, there was enough. That pillow! That big (faux) window! 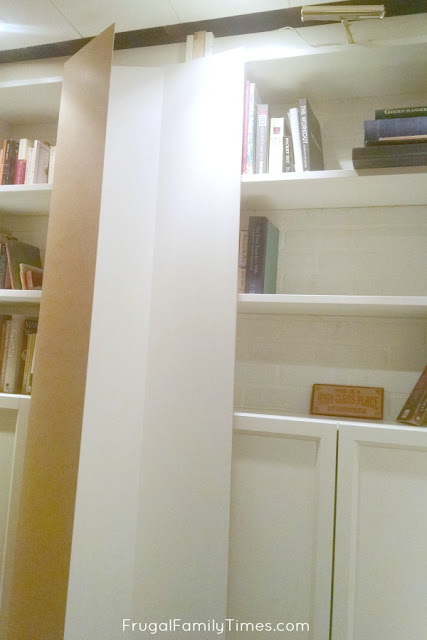 Now, not everyone has bookcase backing lying around. But what we achieved here can be easily reproduced with cheap panelling. 1. 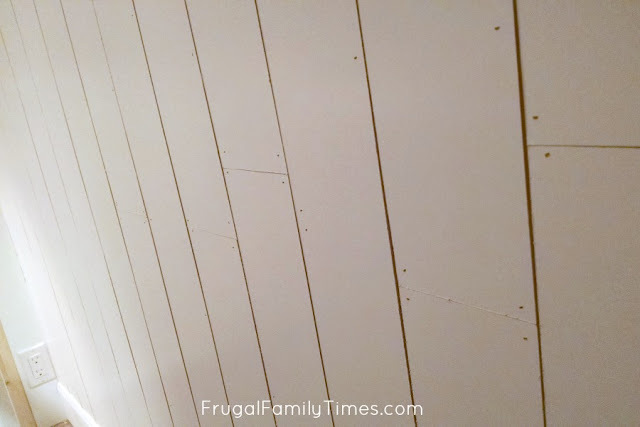 Cut your panelling into strips. 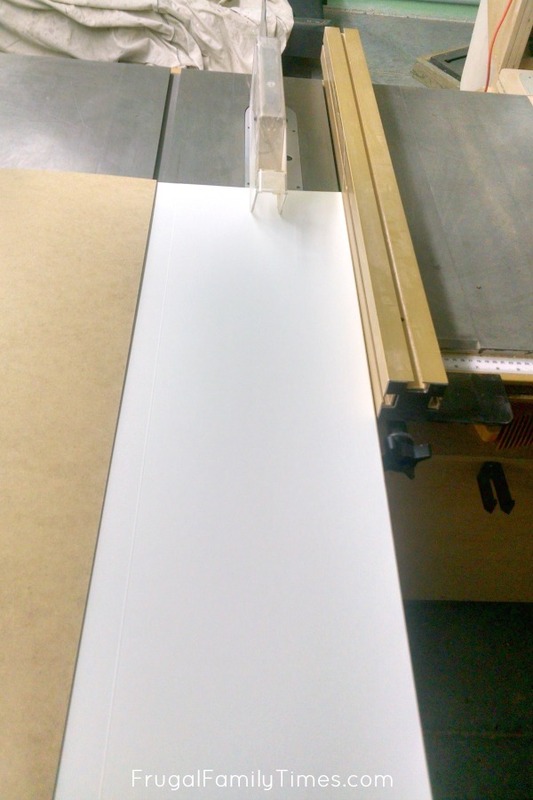 We determined that a panel width of 4.5" was optimal - this made the best-sized strip and also kept waste to a minimum. We cut all the strips at once and took the pile to the room. 2. Do a "dry run" and determine your optimal gap. 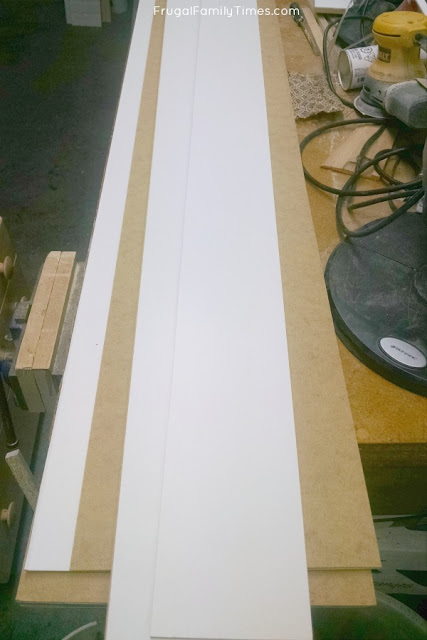 We tacked a few strips in place to determine what the optimal gap between the "boards" would be. Turns out, the thickness of the strips (1/8") was perfect! When you come to fastening your finished pieces, be sure to work hard on the first few to get them level and straight. If you make a mistake at this point it will get exaggerated as you finish more. After you get the first couple rows straight, it goes pretty quickly - gap with a spare piece, and nail a panel. Repeat a bunch of times. 3. Fasten your strips in place - and learn from our mistake! Fasten your pieces to the wall. Notice no photo of us applying the adhesive - this is a mistake - we didn't do that! We thought we could do it all with nails and things would be fine. Wrong! You end up needing to use a LOT of nails, which means more filling and mess. Learn from our mistake and use construction adhesive , too! If you're using fresh MDF material - you shouldn't have the problem we did: scabbing together small pieces to stretch out our materials. The funky part was determining where to hide the panel sections we needed to join. We didn't have enough material to do full pieces all the way across. 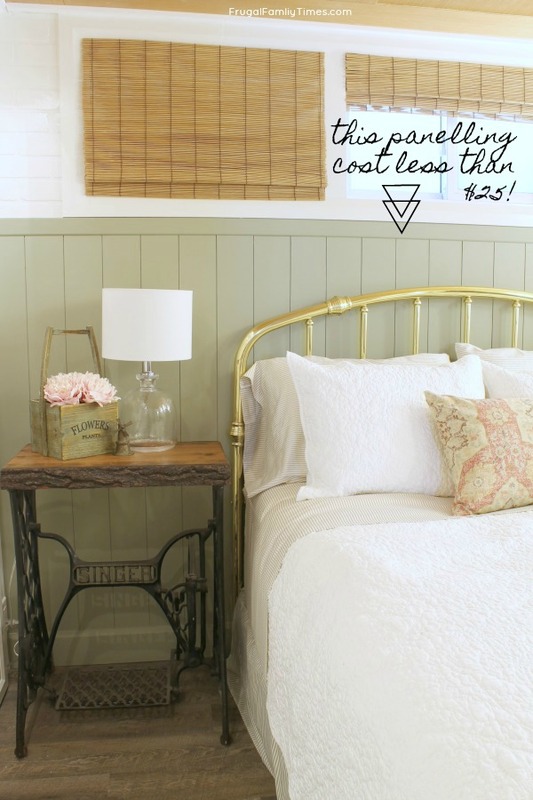 So behind where the headboard of the bed would be, we cleverly (read, frugally) stitched together some scrap pieces to complete the look. 4. Trim out the top. 5. Fill the holes, sand and paint. This is one of dozens of projects we've created in our Budget Basement Makeover(more here) and one of many projects in our cozy Guest Room-Library (more here). Wait until you see it all! Keep in touch and follow our progress by subscribing above.